Activistic Pty Ltd has taken the next step in building a global customer base for its micro-giving platform. A Memorandum of Understanding (MoU) between Activistic and YuuZoo Corporation (SGX:AFC) has been established that will help pave the way for Activistic to serve a mass market in Asia and surrounding emerging markets. 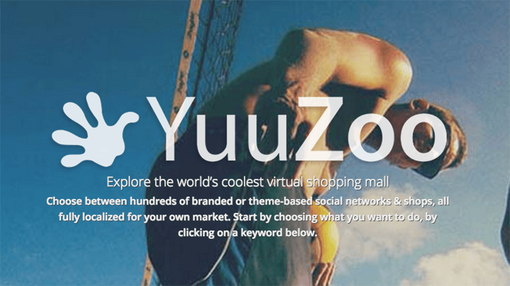 YuuZoo is a Singapore listed social e-commerce company, capped at over $270M AUD. Activistic is set to backdoor list on the ASX via the Acuvax (ASX:ACU) shell in the coming weeks, and is currently seeking to raise $6M at 10c a share to list with a market cap of $15M in March. YuuZoo operates as a virtual shopping mall, acting both as a social network as well as e-commerce platform on mobile and web. Its 85 million registered users across 164 countries use the site as a one-stop shop to access hundreds of social networks, online stores and web-based entertainment. Activistic provides a seamless micro-giving experience via mobile phones, and brings a new dimension to the YuuZoo eco-system. Where the donations end up can be chosen by the user – extending from charitable giving to church groups and political donations. Activistic technology allows transparency for the user into their cause of choice, via their smart phone. The initial focus will be on emerging markets – where limited access to credit card payment tools restricts charities ability to attract donations. Activistic users download an app, register and choose the charity of their choice. They can select a nominal amount per month ($0.50 to $10) which then appears on the user’s phone bill. This micro-payment method eliminates the need for a user to submit credit card or bank details, and there are no lock-in contracts. By donating via Activistic, 85c in every dollar donated reaches the charitable cause, on a recurring basis. This is a vast improvement from typically inefficient traditional donation methods, where around 32c in the dollar actually ends up at the intended final destination. Activistic therefore removes the need for charities to spend money raising money. Activistic operates a proven business model, ready for global expansion with an easily scalable product. One Cent Call, Activistic’s flagship product, already has a presence in the UK with a 90% footprint for postpaid and prepaid mobiles. ASX shell Acuvax (ASX:ACU) aims to raise at least $4M and up to $6M for the 100% acquisition of Activistic. The $4M capital raising will have an issue price of 10 cents per share following a two phase share consolidation process. The transaction details have been updated from the terms announced in October 2014. These consolidation phases are important as shareholder approval is vital for the acquisition to proceed. Foster Stockbroking and Canaccord Genuity have been appointed Joint Lead Managers for the capital raising, and have booked in meetings for a roadshow with potential investors in Asia beginning in early February 2015. Meetings with Australian fund managers are planned for the week following the Asia tour. Phase one will consolidate 28.731 existing ACU shares into one ACU share. Phase one is subject to shareholder approval on 9 February 2015. Phase two will further consolidate 10 ACU shares for one new ACU share, and will be decided at a later shareholder meeting. In total, the two phases will consolidate 287.31 pre-consolidation shares into one new ACU share. ACU will acquire 100% of Activistic for 50.5 million ACU shares at 10 cents per share, with a portion of this to be used to pay outstanding creditors of Activistic. Three classes of performance shares at 10 cents per share will additionally be issued, totalling $4.9M. ACU will also issue 6 million options at $0.0001 totalling $600,000. The process is scheduled to be completed before the end of Q1 2015.